Andria writes: Hello there, I have several “Morgan Silver Dollar” pieces that I’d received from grandmother as a child. The dates range from 1878 to 1885. In showing them to my daughter, one in particular struck my curiosity because of features it has that were not found on the others. 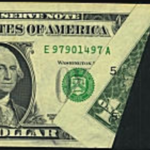 On the 1878-S, w/Convex Breast and 7 feathers, it has an inscription of “L51” to the left of “Lady Liberty’s” mouth. What does this mean? I am very curious of their worth, if any. I plan on “handing” them down to my child as well. Thank you for your assistance. 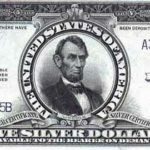 The term “L51” does not exist on any Morgan Dollar dies, nor is it a design feature. Counterstamps on coins are common though this is done outside the mint and is unique to that specific piece. Stamping coins with advertising or political messages is a common pursuit and has been done extensively throughout history. What better way to get your message across then to use coins that are passed to thousands of people in a relatively short time. 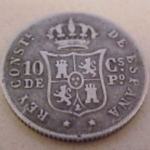 Collectors of medals and tokens (exonumia) enjoy collecting counterstamped coins if it can be determined what the relationship the counterstamp has to contemporary events. Could “L51” be someone’s catalog number in their collection? A good mystery to solve! 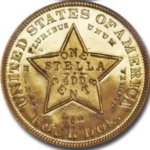 As far as value, counterstamped coins usually bring less than similar examples in the same grade unless the stamp has some overwhelming historical importance. 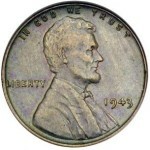 Collectors consider counterstamped coins to be damaged.